9/11 victim bill is controversial over sovereign immunity. 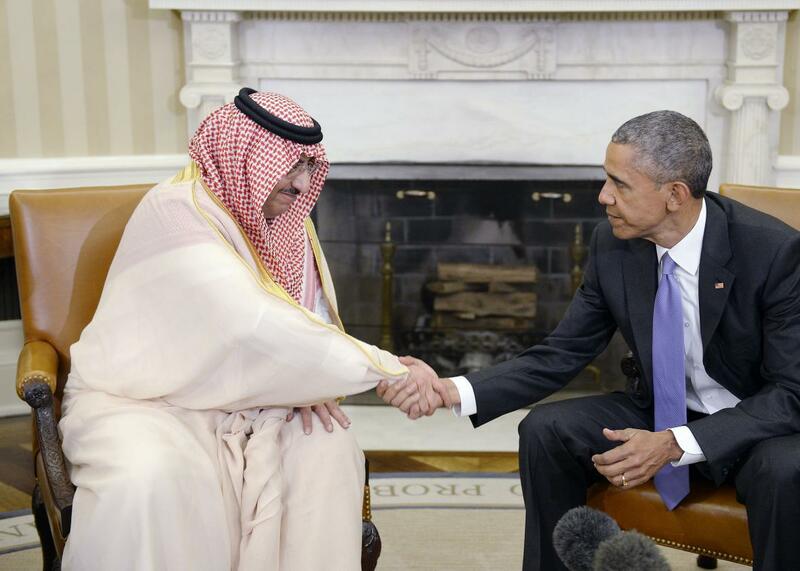 President Barack Obama shakes hands with Crown Prince Mohammed bin Nayef of Saudi Arabia during a bilateral meeting in the Oval Office at the White House on May 13, 2015. As the Justice Against Sponsors of Terrorism Act wends through Congress, the White House has been sending increasingly anxious signals that President Barack Obama will veto the bill. JASTA, which would give 9/11 victims and families the right to sue Saudi Arabia for damages in U.S. courts, has been controversial from the start—yet it enjoys broad bipartisan support in Congress. Why is the measure so divisive? Why has it so deeply divided the Democratic Party? To understand JASTA’s perceived flaws, we must first dig into its perceived necessity. Victims of the 9/11 attacks have long striven to sue Saudi Arabia in United States court, under the theory that the country abetted 9/11 terrorists. But in litigation that lasted longer than a decade, victims have mostly lost. The roadblock is a federal law called the Foreign Sovereign Immunities Act, which regulates American courts’ power to hear lawsuits against other nations. Although the FSIA was passed in 1976, the notion that “the courts of one country will not sit in judgment on the acts of the government of another done within its own territory” has a long pedigree in the American legal system. The FSIA codified this concept by limiting U.S. suits against foreign countries. Reasonable people can disagree about which principle is more important: just compensation for terrorist victims, or reciprocal sovereign immunity for foreign nations. The debate is more philosophical than political, which explains Congress’ apparent eagerness to pass rare bipartisan legislation. But Obama is almost certain to veto JASTA out of concerns over international retribution. So unless Congress has the votes to override his veto—which remains unclear—the JASTA debate will remain largely academic. Many thanks to Steve Vladeck for his insights into FSIA exceptions.